Regarding orders for a prescription drug I hereby authorize and appoint Pharmapassport as my agent and attorney for the limited purpose of taking all steps and signing all documents on my behalf necessary to obtain a prescription in Canada or elsewhere that is the equivalent of the prescription that I will send to Pharmapassport, to the same extent as I could do personally if I were present taking those steps and signing those documents myself. This authorization includes but is not limited to: collecting personal health information about me; collecting similar information from my prescribing physician (“my Personal Physician”) or pharmacist, disclosing that information to Pharmapassport and its authorized agents and having a Canadian physician or international physician (“Reviewing Physician”) where required perform an independent medical review of my medical information prior to issuing a prescriptions. By reviewing my medical information, the Reviewing Physician is not rendering or providing any service or advice to me whatsoever. I understand that it is my responsibility to have my Personal Physician conduct regular physician examinations of me, including any and all suggested testing by my Personal Physician to ensure that I have no medical problems which would constitute a contraindication to me taking medications prescribed by my Personal Physician. I agree that should I suffer any adverse affects while taking any prescription medication that I will immediately contact my Personal Physician and that in the event I come under the care of another physician, I will inform him or her of any and all medications that I have been prescribed. I acknowledge and agree that Pharmapassport recommends regular physician examinations with my Personal Physician whose care I am under and who initially prescribed the medications. I understand and agree that treatment, if any, received by using any product purchased through Pharmapassport, shall be deemed to be received by me in the jurisdiction from which the product was shipped. I further understand that Pharmapassport will only verify and provide medications that my Personal Physician has already prescribed to me. 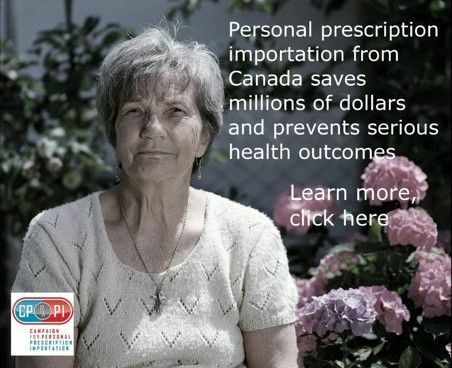 No new prescription medications will be provided by Pharmapassport. I understand that no controlled medications, narcotics or tranquilizers will be provided. Pharmapassport also reserves the right to refuse to arrange for the supplying of medications it determines, in its absolute discretion, are inappropriate. I hereby confirm that I am 18 years of age or older and I am fully competent to make my own health care decisions. I am aware of the potential side effects and/or problems associated with prescription medications and understand that it would be a violation of law to falsify any information on my medical questionnaire or other medical records for the purposes of obtaining prescription medication. I agree to truthfully, and to the best of my knowledge, answer all of the questions on my medical questionnaire. I agree that if I fail in any way to fully furnish my complete and accurate medical history or I become aware of any changes to my physical or medical condition in the future and I fail to notify Pharmapassport of such failure, I am solely responsible for any adverse effects that I may suffer from taking or continuing to take such prescribed medications. I authorize and appoint Pharmapassport as my agent and attorney for the purpose of taking all steps and signing all documents on my behalf necessary to package the products I will order in order to have them delivered to me, to the same extent as I could do if I were personally present taking those steps and signing myself. I authorize and appoint Pharmapassport as my agent and my attorney for the purpose of taking all steps and signing all documents on my behalf necessary for shipping the products I will order as if I had shipped them to my own address. I initiated contact with Pharmapassport and understand that Pharmapassport is not located in the United States. The contract for sale for any product I purchase from Pharmapassport occurs in and is completed in the jurisdiction from which each product I purchase is shipped from. Title to any product ordered by me passes from Pharmapassport to me at the time the product leaves Pharmapassport’s affiliated pharmacy or fulfillment center. I understand and agree that Pharmapassport may have my order shipped from a pharmacy or international licensed or certified fulfillment center located in Canada, USA, Turkey, Mauritius, United Kingdom, Singapore, New Zealand, European Union and other countries it may select from time to time. I understand and agree that the products supplied from these pharmacies and international licensed or certified fulfillment centers may be sourced from and manufactured in countries other than those listed above, including but not limited to India and Israel. These Terms will be governed by and construed in accordance with the laws of the jurisdiction from which products are shipped to me (unless Pharmapassport elects otherwise in its sole discretion), without giving effect to any principles of conflicts of laws. All disputes, controversies or claims arising out of or in connection with my dealings with Pharmapassport shall be submitted to and subject to the jurisdiction of the courts in the jurisdiction from which products are shipped to me (unless Pharmapassport elects otherwise in its sole discretion). The parties submit and attorn to the exclusive jurisdiction of said courts to finally adjudicate or determine any suit, action or proceeding arising out of or in connection with my dealings with Pharmapassport. The following terms and conditions (the "Terms") govern the sale by Pharmapassport to you (the "Customer") of the products and services (the "Products") offered for sale by Pharmapassport. By placing an order for Products, Customer agrees to be bound by and accepts these Terms as well as the Customer Agreement. These Terms may not be altered, supplemented, or amended by the use of a Customer purchase order or similar Customer document. Any attempt by Customer to alter, supplement or amend this document or to enter into an order for Products that are subject to additional or altered terms and conditions will be null and void, unless otherwise agreed to in a written agreement signed by both Customer and Pharmapassport. Pharmapassport may change the Terms at any time without prior notice. These Terms will be governed by and construed in accordance with the laws of the jurisdiction from which Products are shipped to Customer (unless Pharmapassport elects otherwise in its sole discretion), without giving effect to any principles of conflicts of laws. All disputes, controversies or claims arising out of or in connection with these Terms shall be submitted to and subject to the jurisdiction of the courts in the jurisdiction from which Products are shipped to Customer (unless Pharmapassport elects otherwise in its sole discretion). The parties submit and attorn to the exclusive jurisdiction of said courts to finally adjudicate or determine any suit, action or proceeding arising out of or in connection with these Terms. Orders are not binding upon Pharmapassport until accepted by Pharmapassport in writing. The prices for the Products shall be as set forth in Pharmapassport's website at the time of acceptance of an order by Pharmapassport. Prices for Products shall be subject to change without any further notice. Credit terms are within Pharmapassport's sole discretion, and unless otherwise specified in Pharmapassport's invoice, payment must be received by Pharmapassport prior to Pharmapassport's acceptance of an order. Payment for the Products will be made by a credit card accepted by Pharmapassport or personal check. In the case of personal check, the check must clear prior to the shipment of the product. If credit terms have been agreed to by Pharmapassport, invoices are due and payable within thirty days of the date of the invoice. Separate charges for shipping and handling will be shown on Pharmapassport's invoice(s). If applicable, Customer is responsible for goods and services tax, sales and any other taxes associated with the order. If applicable, a separate charge for taxes will be shown on Pharmapassport's invoice. Title to Products passes from Pharmapassport to Customer at the time the Products leave Pharmapassport's affiliated pharmacy or international licensed or certified fulfillment center. Ship dates are estimates only. Pharmapassport is not responsible for delays in shipment or failure to ship by the estimated ship date. THE MANUFACTURER OF EACH PRODUCT IS SOLELY RESPONSIBLE FOR ANY WARRANTY ASSOCIATED WITH A PRODUCT. TO THE MAXIMUM EXTENT PERMITTED BY LAW, Pharmapassport DISCLAIMS ANY WARRANTIES AND CONDITIONS, EXPRESS OR IMPLIED, IN RESPECT OF THE PRODUCTS AND SERVICES CONTEMPLATED BY THESE TERMS AND CONDITIONS INCLUDING, WITHOUT LIMITATION, IMPLIED WARRANTIES AND CONDITIONS OF MERCHANTABILITY AND FITNESS FOR A PARTICULAR PURPOSE. Pharmapassport'S RESPONSIBILITY FOR CLAIMS IN RESPECT OF THE PRODUCTS IS LIMITED TO REPLACEMENT OF THE PRODUCT. From time to time, Pharmapassport may, in its sole discretion, exchange or replace a Product, in the event of damage or defect to the Product. Any exchanges will be made in accordance with Pharmapassport's exchange policies in effect on the date of the exchange. Pharmapassport may discontinue or vary the Products it offers for sale at any time without prior notice. Pharmapassport DOES NOT ACCEPT LIABILITY BEYOND THE REMEDIES SET FORTH HEREIN INCLUDING, WITHOUT LIMITATION, ANY LIABILITY FOR PRODUCTS NOT BEING AVAILABLE FOR USE OR DELAYS EXPERIENCED IN CUSTOMERS RECEIVING PRODUCTS THAT HAVE BEEN PURCHASED. TO THE MAXIMUM EXTENT PERMITTED BY LAW, Pharmapassport WILL NOT BE LIABLE FOR DAMAGES ARISING FROM PERSONAL INJURY OR DEATH, LOST PROFITS, LOSS OF BUSINESS OR OTHER LOSS OR DAMAGE RELATING IN ANY WAY TO PRODUCTS OR SERVICES, WHETHER DIRECT OR CONSEQUENTIAL, SPECIAL, INDIRECT OR PUNITIVE, EVEN IF ADVISED OF THE POSSIBILITY OF SUCH LOSSES OR DAMAGES, OR FOR ANY CLAIM BY ANY THIRD PARTY. THE FOREGOING LIMITATIONS APPLY REGARDLESS OF THE CAUSES OR CIRCUMSTANCES GIVING RISE TO SUCH LOSS, DAMAGE OR LIABILITY, EVEN IF SUCH LOSS, OR DAMAGE OR LIABILITY IS BASED ON NEGLIGENCE OR OTHER TORTS OR BREACH OF CONTRACT INCLUDING, WITHOUT LIMITATION, FUNDAMENTAL BREACH OR BREACH OF A FUNDAMENTAL TERM. Customer agrees that these Terms and any document incorporated by reference or referred to herein constitute the entire agreement between Customer and Pharmapassport pertaining to the subject matter of these Terms, and supersede, terminate and otherwise render null and void any and all prior agreements, understandings, negotiations, contracts, proposals or requests for proposals, whether written or oral, between Customer and Pharmapassport. In the event of a conflict between these Terms and any of the documents incorporated by reference or referred to herein, these Terms shall govern. Pharmapassport shall not be liable for any delay or failure in performance caused by circumstances beyond its reasonable control, including, without limitation, delays due to back-orders of requested Products, mail delays, customs delays, and lost shipments. Pharmapassport shall not be responsible for notifying the Customer in the event of such delays. Customer shall be solely responsible for alternate arrangements to purchase alternate Products and any costs incurred in connection with such purchases.